Modern brides break traditions and think out of the box, from their dresses to accessories and the wedding proper – they set standards! 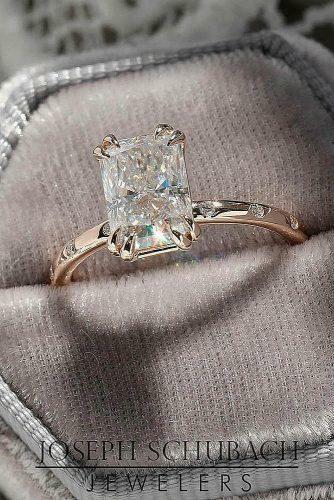 Rings are not left out, that’s why engagement ring trends 2019 is one of the most searched phrases on Google. 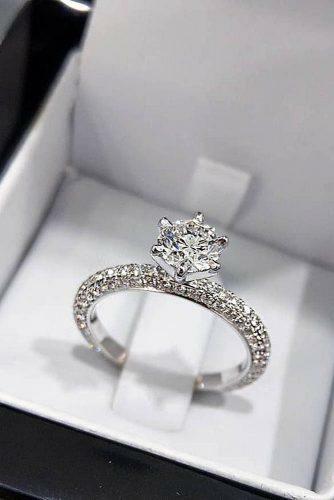 Every girl needs that ring she can proudly flaunt. 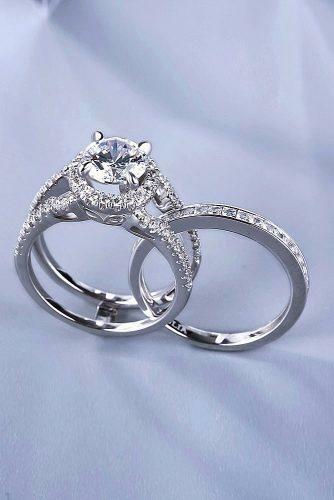 Engagement rings are a symbol of love, promise and commitment, picking one is serious business. This is a piece of jewelry that the bride may wear for decades and pass on to the next generation as heirloom. This makes a lot of thought go into choosing one. 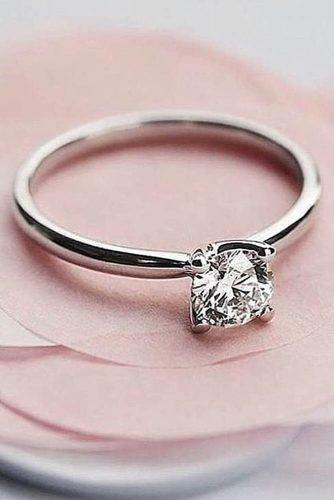 Every bride is unique and will choose a ring that matches her personality, fashion style and comfort. There are so many breathtaking designs available today, that will make a bride spoilt for choice. 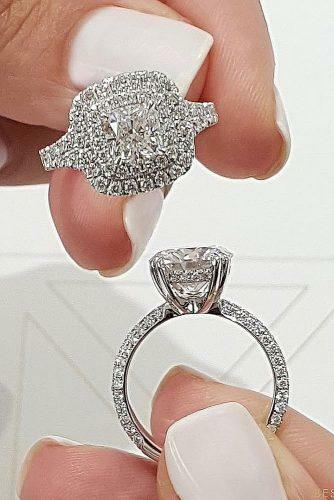 We are only halfway into 2019 but have seen stunning engagement rings that made our jaws drop! Brides will never run out of options, there’s millions of cuts, types and styles to suit every bride! 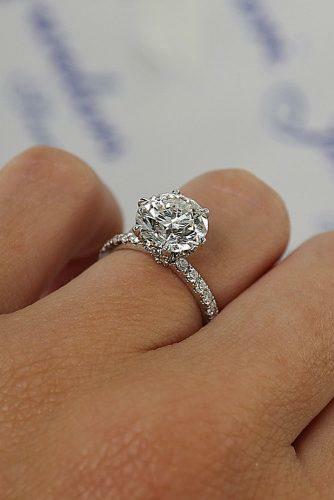 Take the traditional bride for example, she’d love the different styles that simple engagement rings present. But give her solitaire diamond rings? Her heart will skip a beat! Some brides are very modern and choose not to stick to traditional, they will prefer white gold rings to the traditional yellow gold colors. What’s a ring without your personal touch? 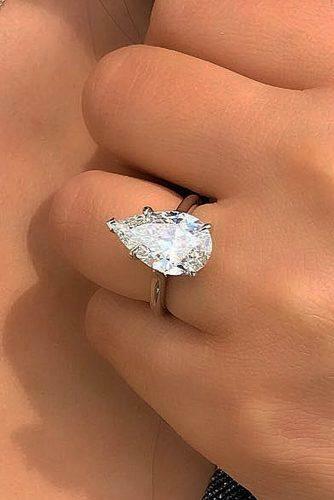 Brides who want some originality will go for the unique engagement rings. Decadence, statement and unusual best describes black and yellow diamonds. This will best suit the bold and elegant bride who is not scared to stand out! We will not forget the bride who’s on a budget, you don’t need to break the bank to get your dream ring. There’s something cheap but classy and very lovely for you. 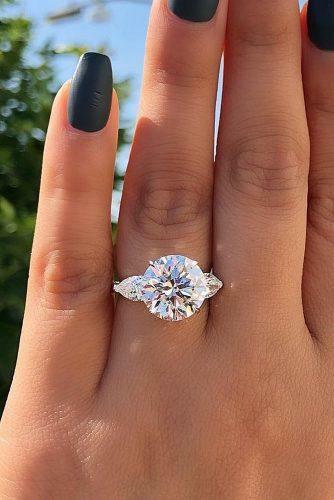 Have friends glued to your finger by making a selection from our eye popping compilation of 2019 engagement rings! 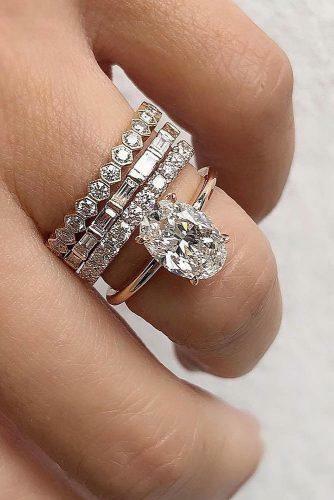 Engagement ring trends 2019 will be incomplete without the spectacular modern bridal sets. They come in diverse shapes, materials and unique gemstones for the bride’s satisfaction. These kinds of bridal sets are especially for brides who want variety without their fingers looking riotous. They are chic, classy and sophisticated for the modern bride. 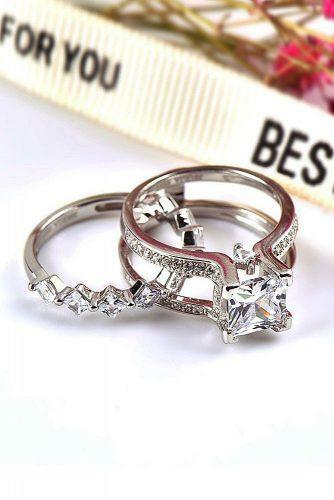 These rings can come in an irregularly shaped white gold set. The micro paving or setting stone around the band delineate them for attention. 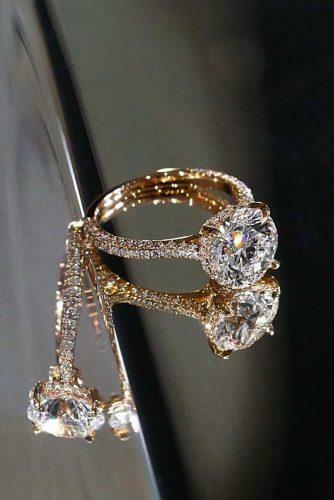 The extravagant bride will go for a diamond with a halo, turning the whole white gold ring stack into a bling. For brides who love a little more color, a rose gold set is the best. It is modern and allows creativity. 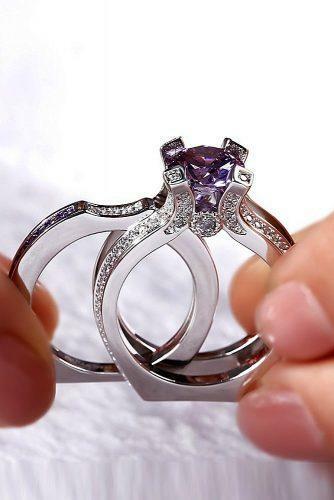 It could come in a single solitaire diamond ring and two stone micro paved band to make a full set. 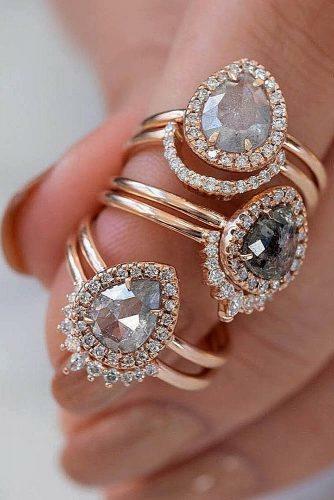 For the love of varieties, a mixture of white and rose gold with stones embedded around the rings is divine! 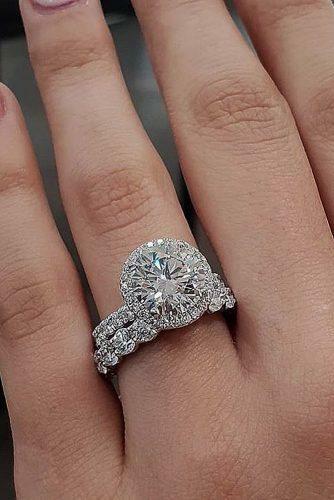 Make it a two stone set and leave brides in awe. Rose gold pairs and blends easily with other metals. This set is also for brides with various skin colors and tastes. 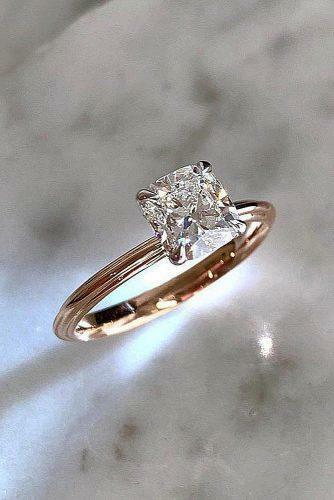 With a white and rose gold blend, it is wise to keep it simple with the stones, to avoid ending up with a bulky look. Tip. These bridal sets will sit best on brides with slim fingers, giving them finesse, elongation, and comfort. For brides with bigger fingers, the white and rose gold combination is best, as it creates an illusion of a slim and longer finger due to the transition in color. Brides with bigger fingers should also go easy on the embellishments by keeping it simple. 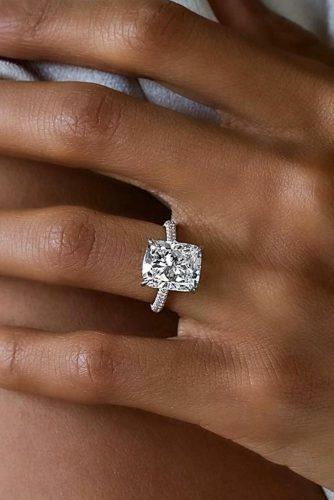 Over the years, halo styled engagement rings have been on increasing demand. Halos are here to stay as intending brides are rooting for it real hard. TIP. Halos make center diamonds look larger when clustered around it. Diamonds are a girl’s best friend, they should look sizeable after all. Another beautiful fact about the halo style is that, they give off a vintage inspired look. This trend has been setting the fashion world on edge and it comes with a timeless appeal. Halos come in very attractive designs, some of which are multidimensional, ornate and curvy. 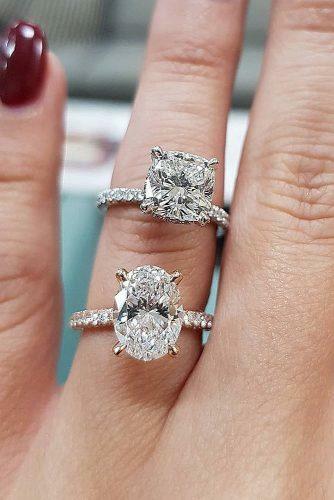 If you’re a fashion forward glamorous bride who wants a little more attention to her finger, choose a halo engagement ring. 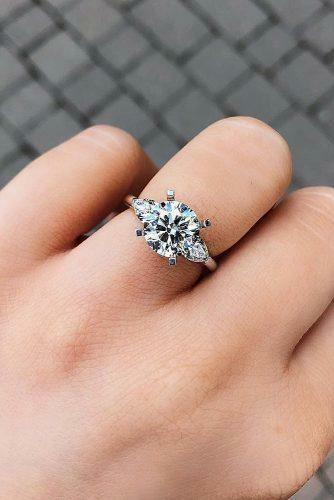 The options of adding a halo to your engagement ring is endless, no matter what style it is. 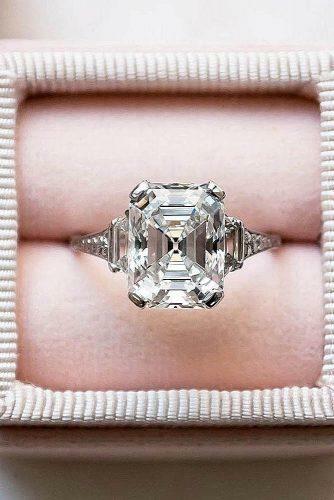 An asscher, trillion, princes, marquis or hexagonal cut diamond engagement ring gets a new face lift with a halo present. 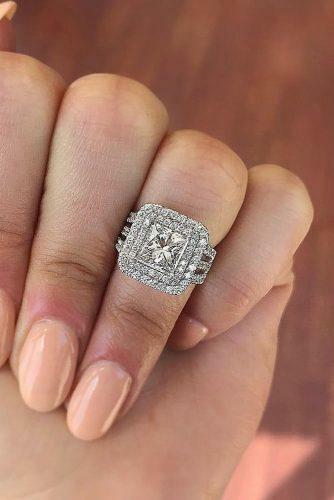 The beauty of a wedding band, when paired with halo engagement rings are astonishing. 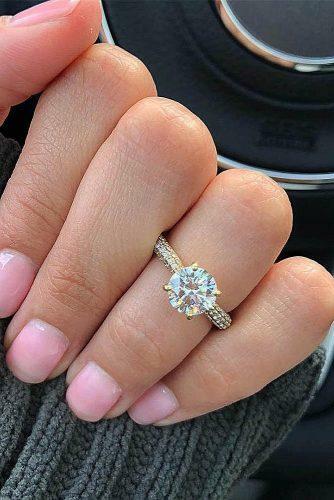 They give wedding bands an extra glow and some more class! 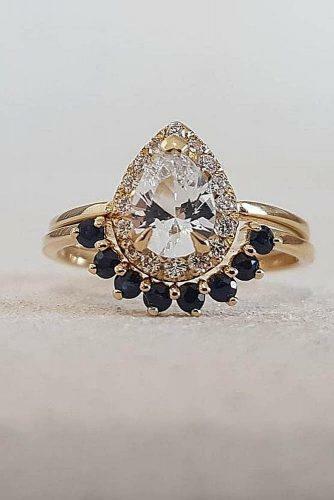 Pear and Marquise shapes are explicitly unique diamond cuts. They are so beautiful, brides find it difficult to make a choice. Did you know? Marquis of French origin means nobleman, they wore diamonds to flaunt their status. 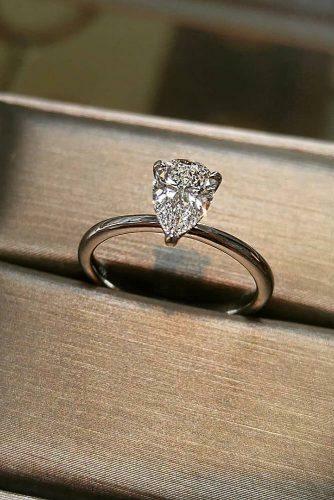 Today, the marquise cut is symbolized by many cut variations, oval diamond cut being the most common. Pear cut diamond engagement ring, like a teardrop is a dainty combination of a round cut and Marquise diamond, tapering at one end. Pear shaped engagement rings come in shapes and sizes that are perfect for women with wide, short or slim fingers. 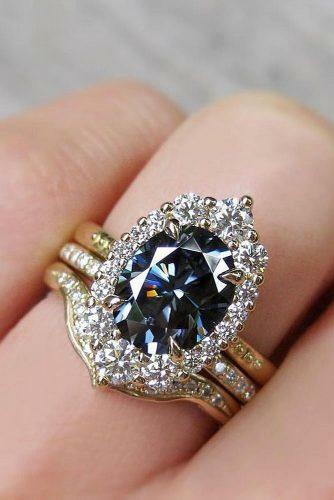 Diamond in pear shape gives the fingers a slender and longer impression, but the stone size should be considered. A huge stone may swallow the finger, making them look shorter. TIP. 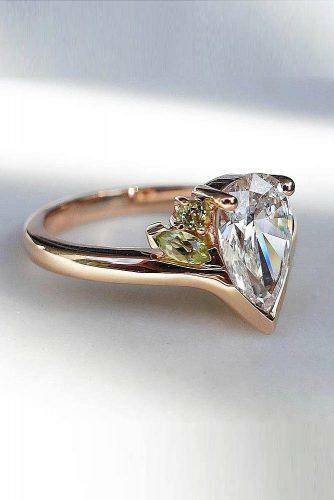 Marquise and pear cuts will sit well on ladies who have short fingers, making them appear longer. Women with wide fingers are the luckiest in those category. 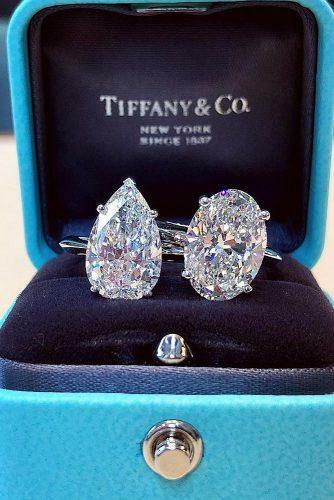 While they have to avoid wearing rings that show so much flesh, they can flaunt both the pear and marquise engagement cut rings. 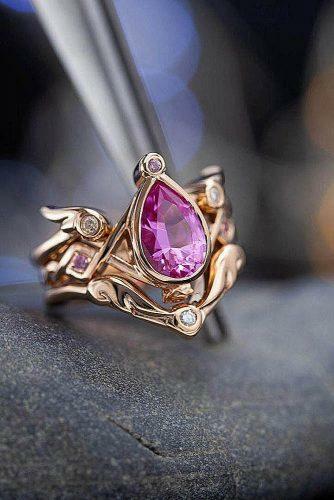 Have you seen a rose gold ring? They ooze elegance and are in a class of their own! They have been in vogue for a couple of years and are not leaving our faces anytime soon. This is a perfect substitute for intending brides who do not feel yellow gold engagement rings. 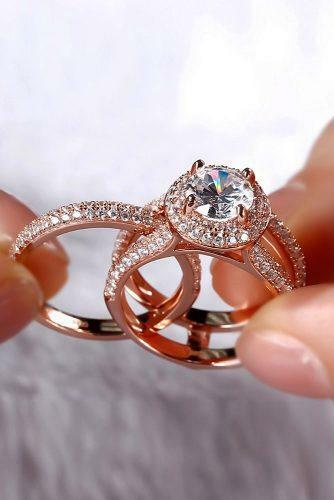 Brides who want a combination of subtlety and color have embraced rose gold engagement rings. Rose Gold rings have successfully achieved near classic status! Won’t they? They have all the advantages and are corporate. TIP. Rose Gold matches varieties of skin tones- fair, caramel, chocolate, pastels and all shades between. 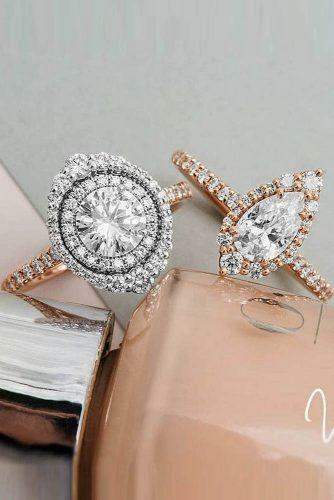 We feel very sentimental about rose gold engagement rings. 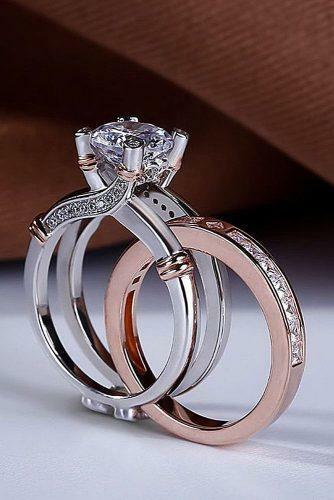 This is because, not only do the intending brides get their dream rings. But, rose gold goes a step further in making them feel comfortable in their skin, by complementing them. 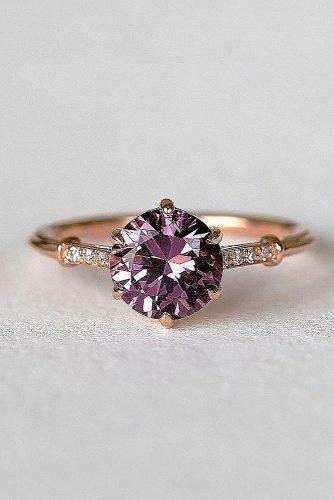 Pair a rose gold ring with diamonds, rubies, sapphires, emeralds or amethysts and it matches perfectly as a set! With other metals, rose gold blends in very well without clashes. Rose Gold comes in many styles, cuts and colors suitable for the vintage and modern bride. 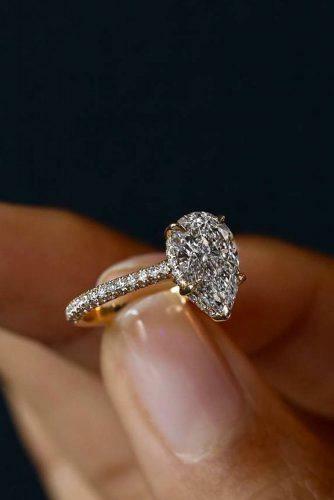 Propose to her with a breathtaking engagement ring she will fall in love with (Photo 1). 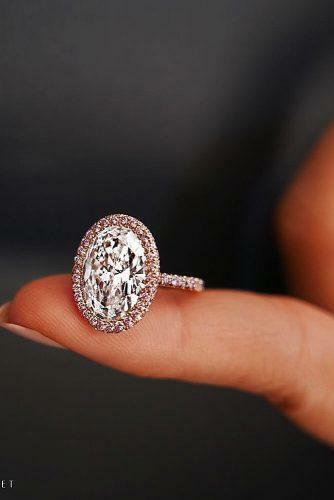 Stunning ring with a beautiful paved band with center pear shaped diamond (Photo 3). 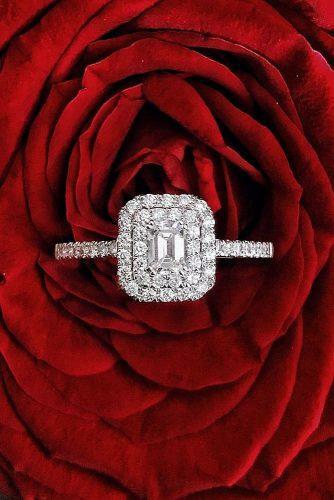 See more breathtaking and inspiring rings at Iconic Engagement Rings By Jean Dousset. 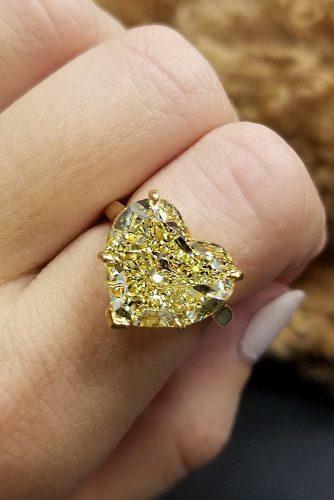 Jewelers and brides have outdone themselves this year 2019. They keep us fascinated by reinventing and blending the old with the new school. 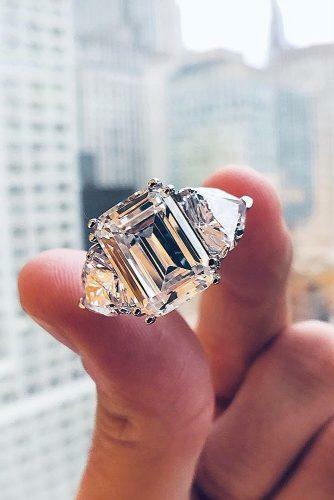 We’ve been on the lookout for trendy unique statement-making engagement rings in 2019 and here are some of them. TIP. 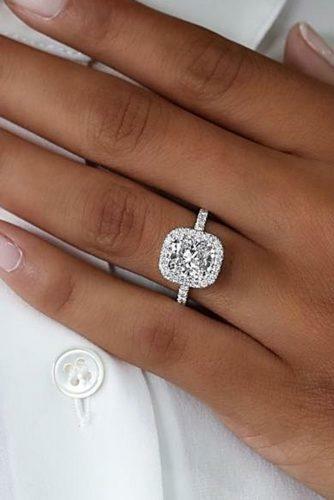 Diamonds can fill the side twists with a big stone as a centerpiece. Colored gemstones are unique and we have seen a lot of the trend this year. Nobody is sticking to the traditional anymore. Seems we all need some color in our lives. From sapphires to rubies, amethysts, diamonds, and emeralds. Brides have defied tradition and gone bolder, join the train. In pave settings, the diamonds are arranged very closely around the band, giving the ring a heavily encrusted look. 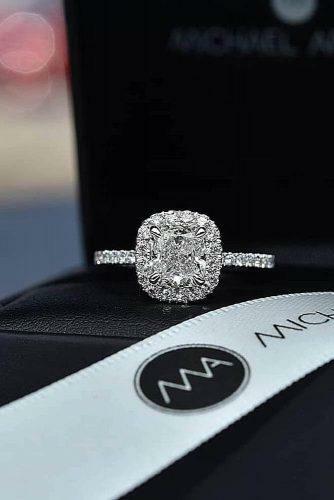 This is where we say “a ring is paved with diamonds, like a street is paved with gold”. TIP. Taking into account their endless sparkle, pave settings were originally created to enhance the brilliance of diamond rings. For the simple bride who loves pave rings, this is an option to consider. They are thin, delicate and detailed. 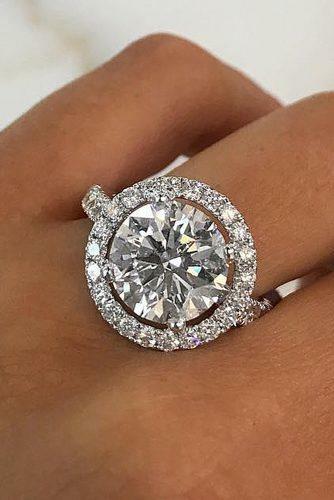 Diamonds can be micro paved throughout the ring or around the center stone, enhancing the illumination and size of the bling. This is for the couple on a budget. The pave set diamonds around the centerpiece form a halo, making it look larger. The target is to increase the amount of light hitting the side stones. The diamonds are raised by U or V-shaped metals, exposing their sides to light. 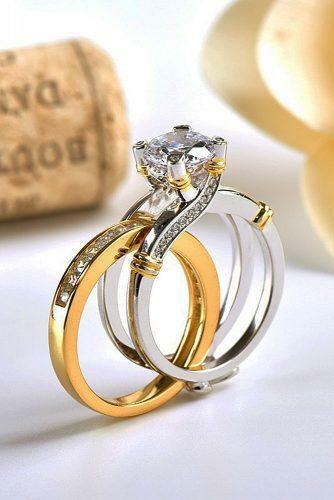 Starlet (Photo 2) is a breathtaking unique twisted engagement ring in a mix of white and yellow gold. You can also like 24 Gabriel & Co Engagement Rings Extraordinaire. There is beauty in simplicity and as the saying goes, less is more! If you’re a bride with an understated style, you may find wearing large rocks uncomfortable. 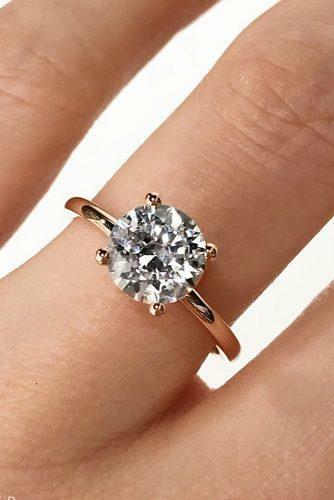 Simple engagement rings are perfect for you. 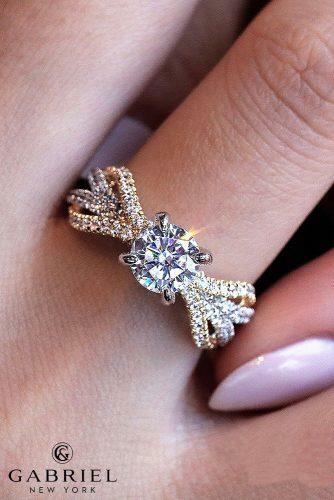 Now, this does not mean your ring will look drab and dull, nor will you trade style for comfort. 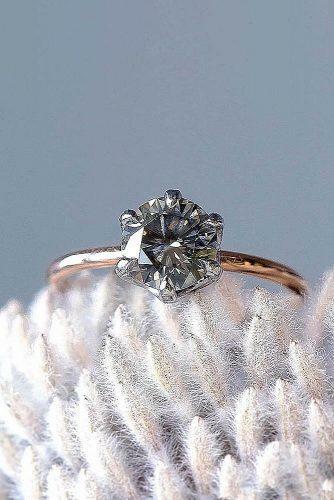 We would even say that some of the most gorgeous rings around lately are simple and dainty. They come in intricate subtle details that never cease to hold your attention. Think of stones, metals and gems, you can have them all while maintaining your simplicity. 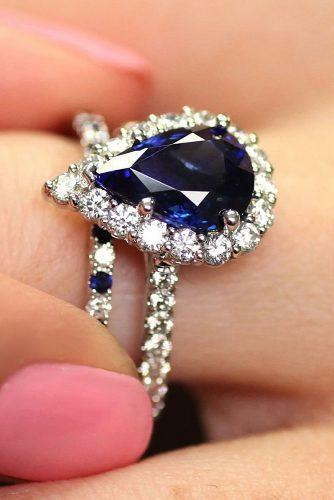 Simple engagement rings draw attention to the gemstones and the beautiful fingers they adorn. 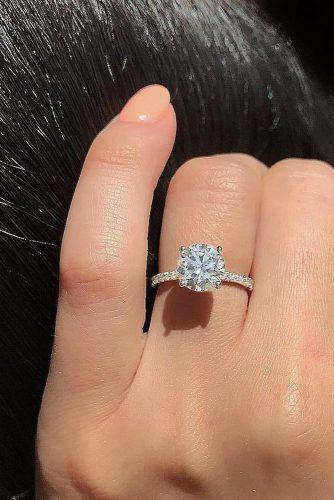 Simple engagement rings may not have gems on them. They can come in pure gold, platinum or silver charming bands. Their simplicity is the main attraction here. TIP. Simple engagement rings can serve as heirloom, passed from one generation to another. They are also easy to manipulate and reset, if the bequeathed has a different taste from the previous wearer. These rings are classic, elegant and subtle. These attributes best describes your personality and the uniqueness of your love. 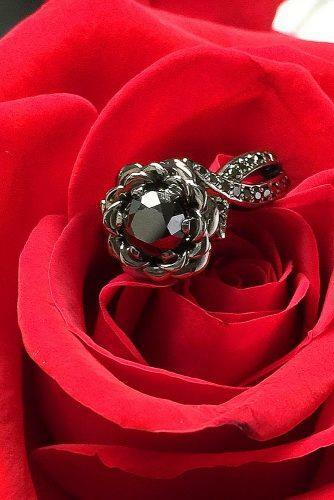 Black diamonds are the perfect symbol of forever. They are mysterious, powerful and are a shift from the conventional diamonds. Brides who are confident and want to stamp some personality and make statements will love this. They’re chic, trendy and placed up there with the word unique! They come in many styles and cuts for you to choose from. Whether they are dusted through a plain band, placed as a centerpiece and flanked by other stones. A simple solitaire or extravagant 3-sone set in platinum, black diamonds are eye candies and are cheaper than white diamonds. 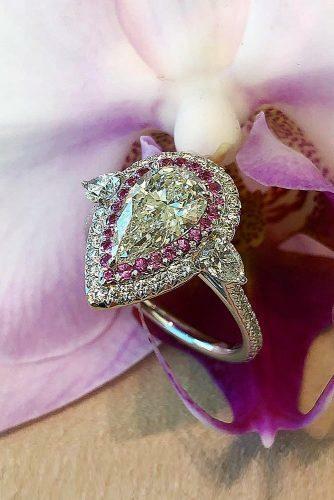 Yellow and pink diamonds exude strength, abundance, and clarity and are fantastic choices for the unconventional bride. They are rare and don’t come cheap, compared to the whites. They are for brides who want to give a touch of their individuality while retaining elegance. TIP. They are the hardest of all diamonds and you can wear them always. 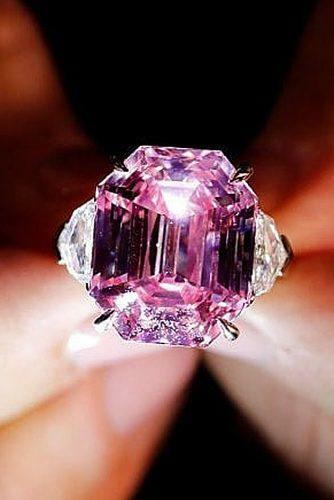 A colored diamond is an extravagance itself, they need no extra fuss to stand out. Angular halo, baguette diamond size stones or pave settings give colored diamonds a classic look!